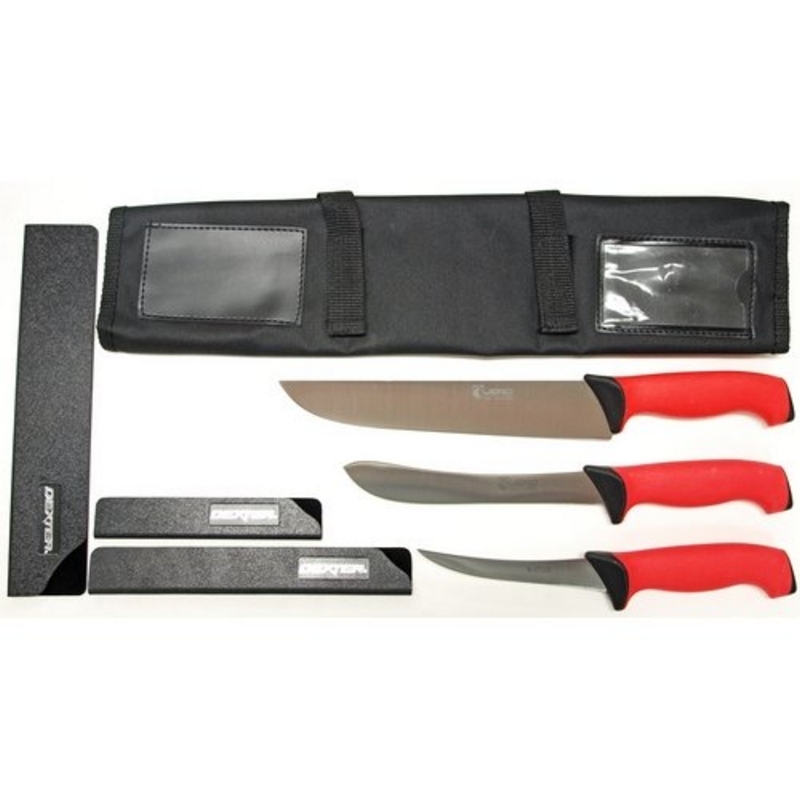 Included in this set: 10" Wide Blade Butcher (Great for slicing), 7" Narrow Butcher/Trim Knife, and 5" Curved Boning (Works Well For Trimming and Slicing). 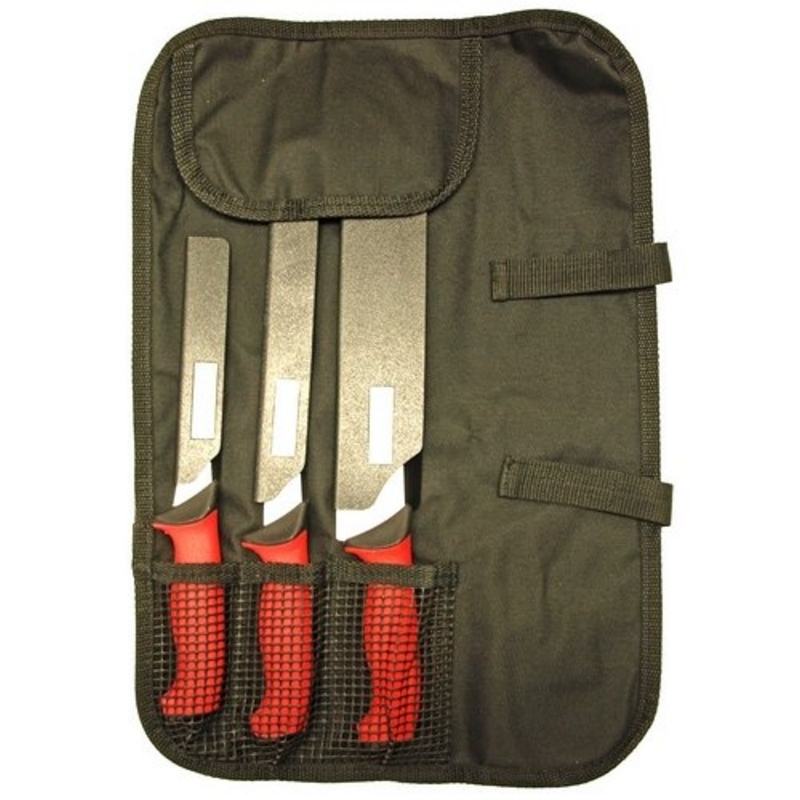 Blades are protected with our most popular Dexter brand felt lined blade guards. 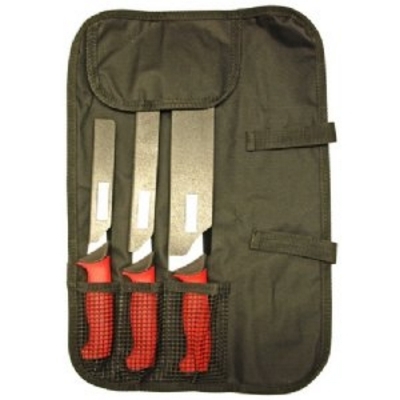 For easy storage and transportation we also included our small knife roll.